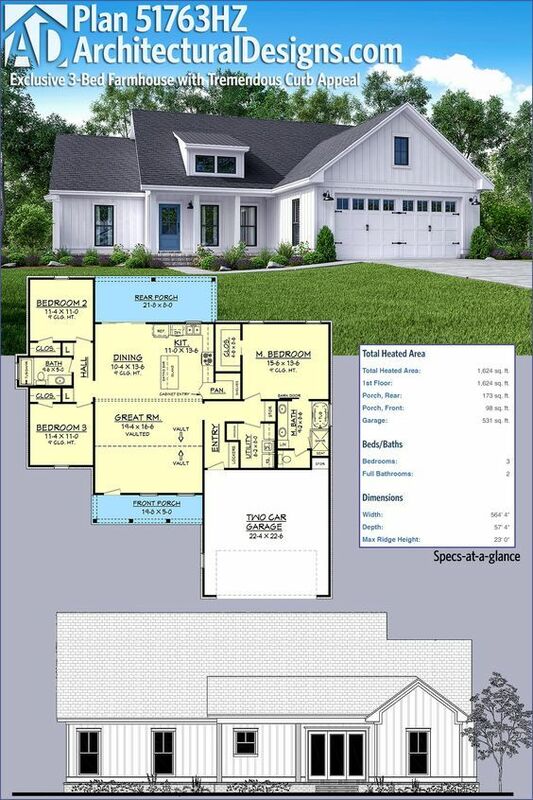 Introducing Architectural Designs Exclusive Modern Farmhouse Plan 51763HZ. It has porches front and back, a vaulted great room an open concept floor plan and delivers over 1,600 square feet of heated living space. Ready when you are. Where do YOU want to build?